Dr. Park’s research focuses on wound repair, a complex process that requires the participation of multiple cell types coexisting in the tissue. A key goal is to understand how stem cells and immune cells interact during the repair process. 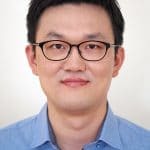 Dr. Park will first identify changes in the real-time behaviors of immune cells that are associated with stem cell behaviors and then define the functional interactions between these two cell types in different parts of the skin. These studies will help scientists better understand chronic wound repair and tissue regeneration.